“Ticket Out” is set in the world of the controversial underground railways that aid women and children escaping from abusive, sometimes murderous spouses. 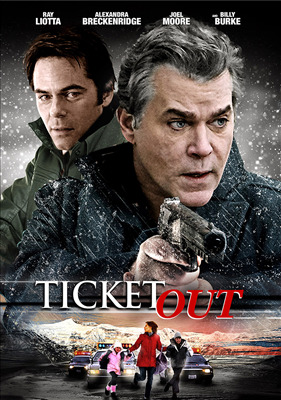 Ray Liotta plays, Jim, a taut and mysterious character that seemingly aids Jocelyn (Alexandra Breckenridge) and her children in their flight from her vengeful ex-husband (Billy Burke). In crossing state lines, Jocelyn finds herself and her children pursued not only by the FBI, but also a ruthless private investigator.